It's definitely sale season and I'm trying my best from spending too much so for this month's haul, I just got myself some stuffs that have spent the longest time in my shopping cart i.e. 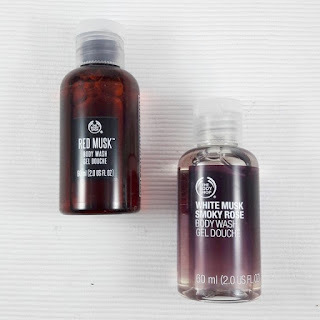 the ones on Althea Korea and The Body Shop Malaysia. First, let's go to Althea! 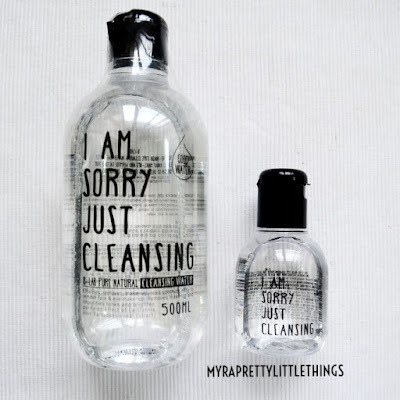 I gotta admit that I've been obsessing with trying different cleansing waters and I've been wanting to get this Pure Natural Cleansing Water from I Am Sorry Just Cleansing line by the brand B-Lab for so long as this and its sister products have been recommended by the Althea Mermaid (beauty editors behind the store, I guess??) as I'm truly impressed with the product's concept and provided infographic. But of course, I wonder why these people have to name their products this way. It's so long! Next is the Oil Blossom Lip Mask from Petitfee. 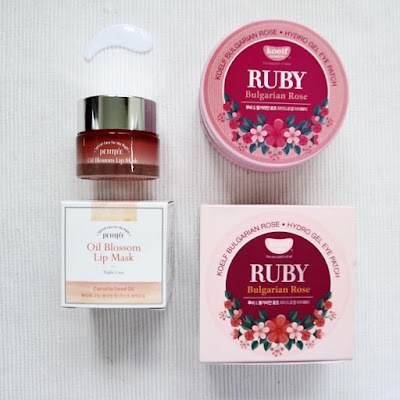 I've been hearing great things about this lip mask and how it's comparable to the much more expensive product from Laneige that I've been using for the past few months. I'm excited to see their differences. 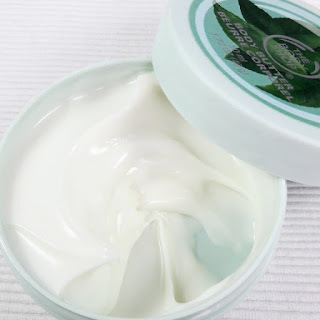 I've been wanting to get something to treat my undereye area for quite some time and again, I heard great things about the eye patches by Koelf hence I got myself the Bulgarian Rose Hydro Gel Eye Patch. I used several times since I got it and so far I've been loving it more than the ones I've been using from TheFaceShop. Definitely will do a full review soon. Edited: Just wanna share with you guys how the products came in that pretty Chinese New Year-themed Althea Box. I need to get a little miniatures for weekend getaways plus it's fun to try new scents before buying full-sized so this time I bought the Fuji Green Tea Body Wash and Body Butter along with the bath lily. The scent is quite fresh to me but subtle at the same time. I don't really know how to describe but I do like it especially for day time. I also get these two as freebies as I picked up the regular products that my parents use but I don't really like the scents. Probably will be giving them away. I guess that's all from me. It's not a lot (thank God!) but of course, I already added some more items on my Althea cart and more products on my wishlist.